Rosie’s workshop will be held on Sat, October 16 and Sun, October 17, 2010. Duration approx from: 10.30-16.30 (It’s a one-day workshop, register for either day). Description: Log cabin is very beautiful and has many possibilities for design combinations. You can also incorporate an embroidery design for the center piece. The tilted log cabin design originated from the basic log cabin. 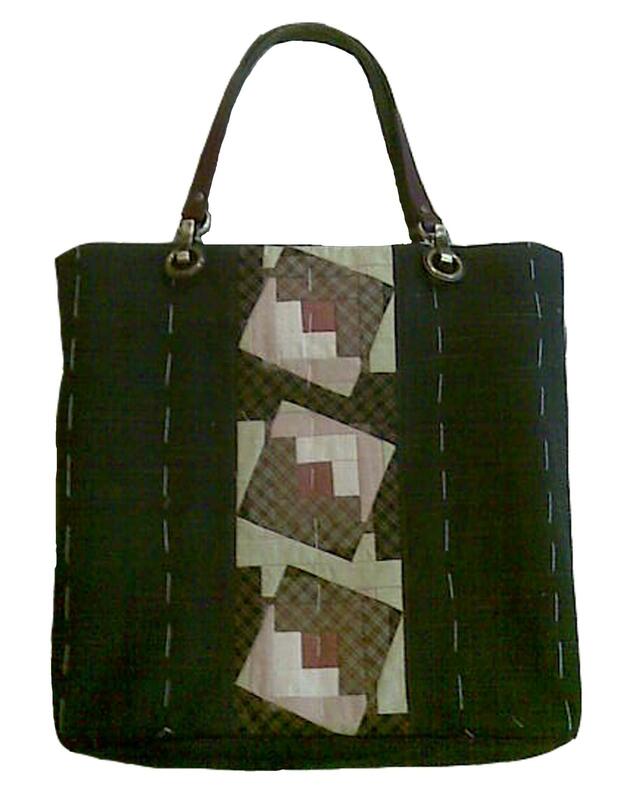 The design depends on light and dark color fabric so even small scraps can be used. Patchwork foot #37 and #57 are best to use for accurate piece work. The Bernina knee lifter is also very useful and an important accessory to have. Good speed control of Bernina also make sewing very comfortable. Contact Blue Sport Co., Ltd. to register. 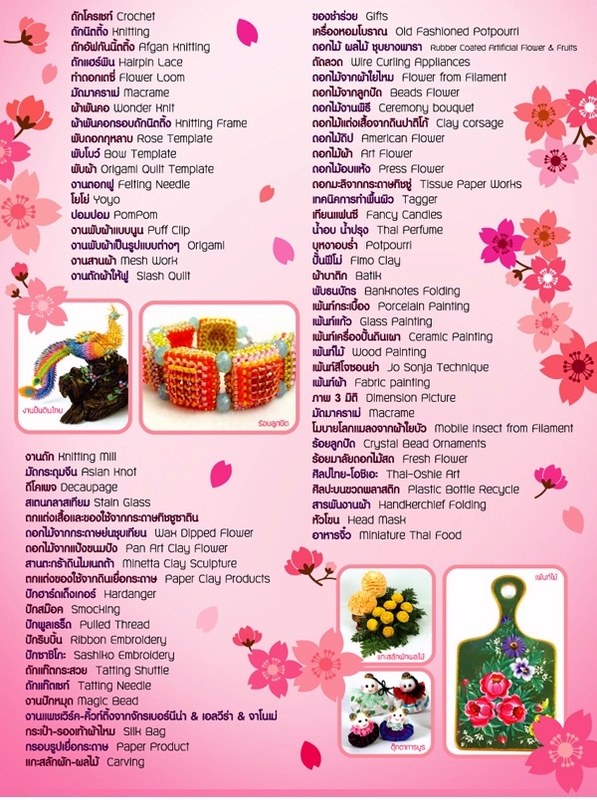 There will be tables set up with all these demonstrations and workshops, covering the whole 5th floor! 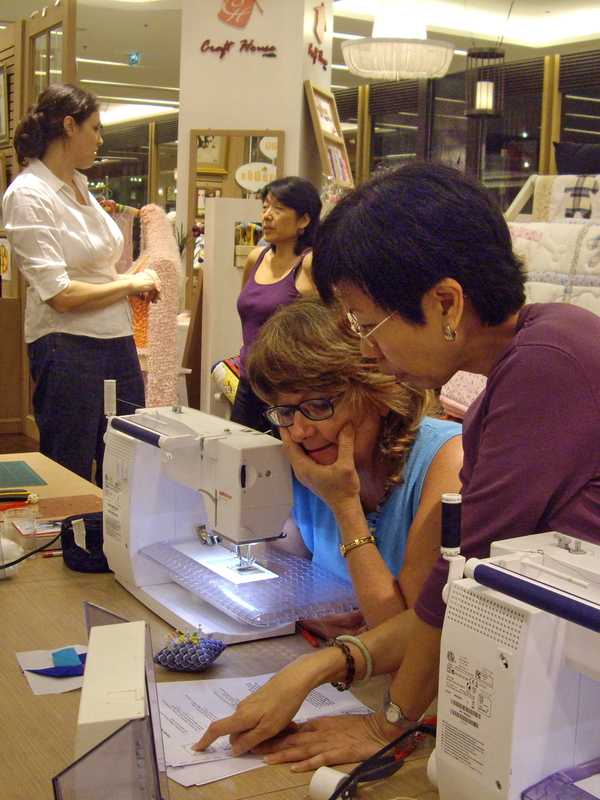 ← China World – quilt fabric shopping in BKK!